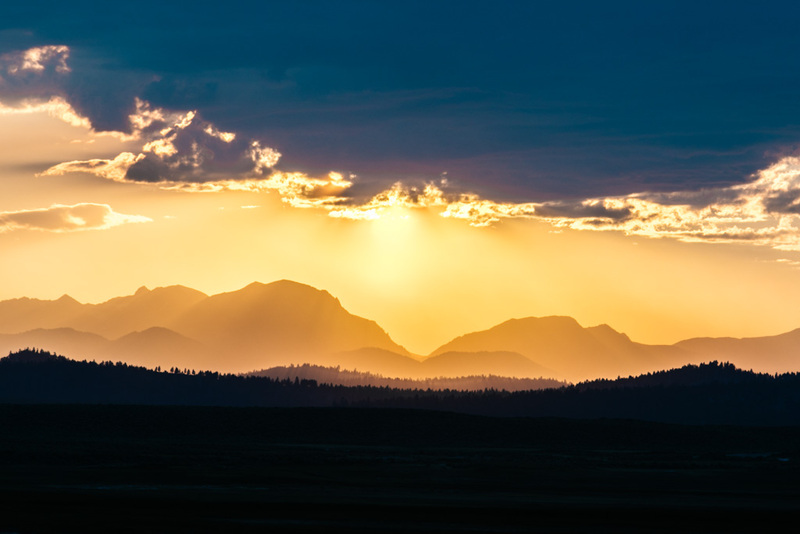 If ever there was a place that was made for road tripping, it would be western USA. 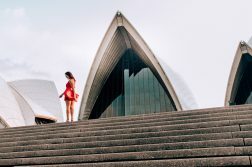 I always thought I’d have plenty of time to explore this part of my country when I eventually “settled” in California – I just never considered the possibility that I’d end up permanently residing overseas instead. No regrets or anything, but now any opportunity to adventure around America feels even sweeter knowing that it’s a rarity in my life as an Australian resident. 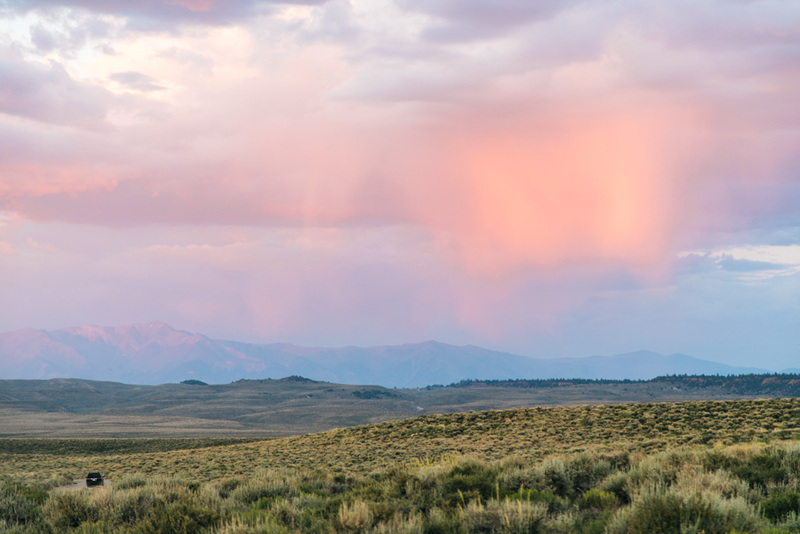 Since I had to fly to the US anyway for a wedding this past June, I knew I definitely wanted to spend time out west and make up for my lack of travels there. 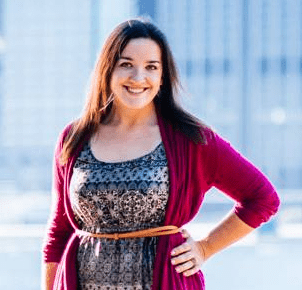 So I partnered with Cruise America RV Rentals and completed an 8 day road trip in Northern California with my sister Jamie. I’ve done loads of road trips and camping trips before, but this was my first time experiencing RV travel. 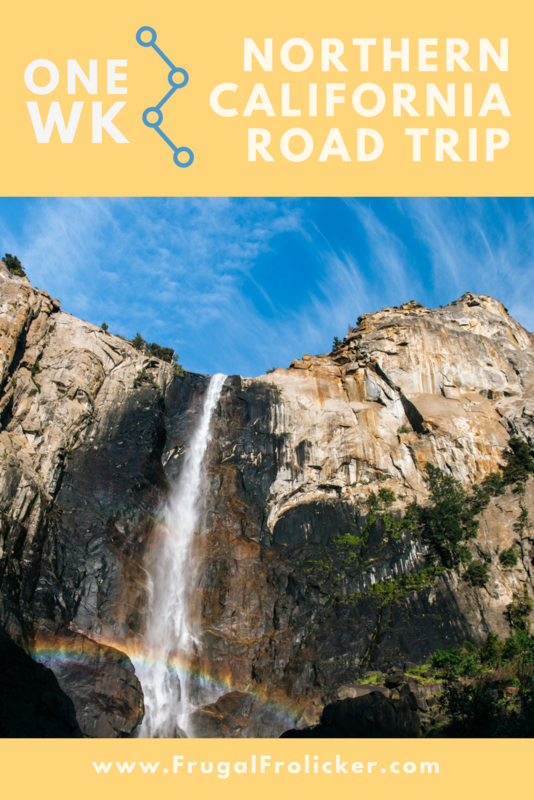 Much more to come on what it’s like road tripping in an RV (spoiler alert: flippin’ AWESOME), but for now I thought I’d share our One Week Northern California road trip itinerary. 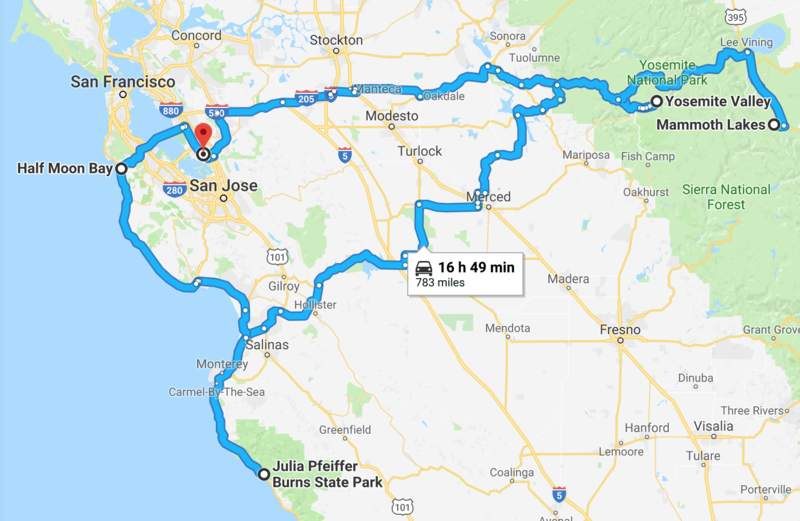 There’s enough to see in the top half of California that you could design many different itineraries for a road trip in Northern California, so this by no means is the only way to do it. 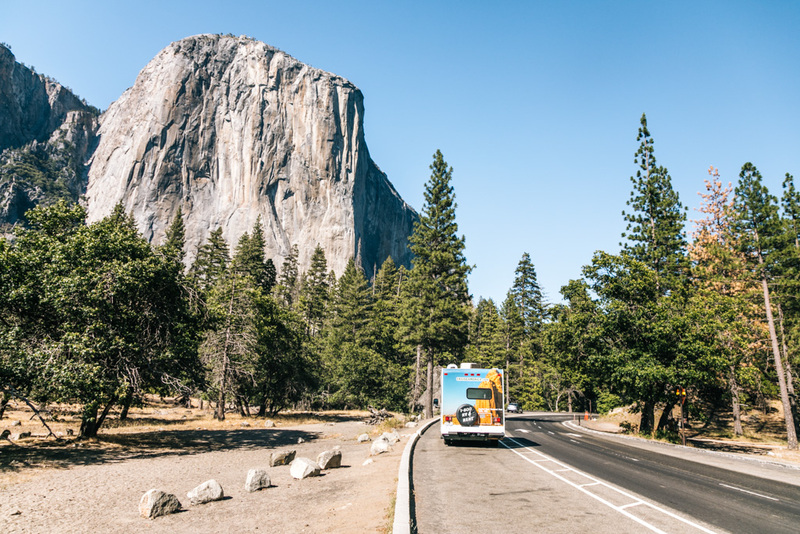 Our route spanned east and south of San Francisco and included just Yosemite, Mammoth, and Big Sur because we prefer slow travel over fast-paced checklist travel. If you were wondering whether Yosemite is one of those insanely overhyped destinations, I can confirm that it is absolutely WORTH THE HYPE. 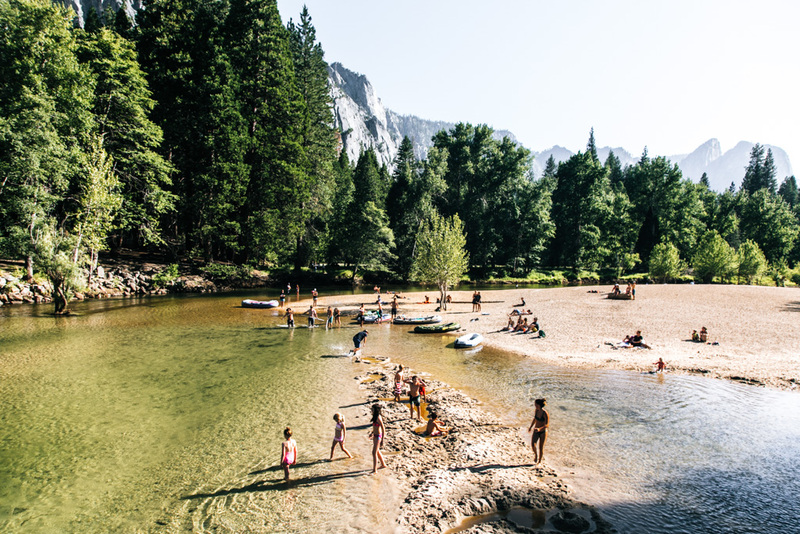 I’m sure this place is worth visiting year-round, but I adored Yosemite during summer – yes, despite it being super-duper-peak season and massively crowded. The kind of crowded that has you driving laps around the park praying for a parking space to pop up, and waiting ages for a shuttle bus to stop that actually has room to let you on. Yosemite’s the kind of place you can devote an entire trip to, especially if you want to log some serious hiking time. For the purposes of this one week Northern California road trip itinerary, we’ll give it 3 days. 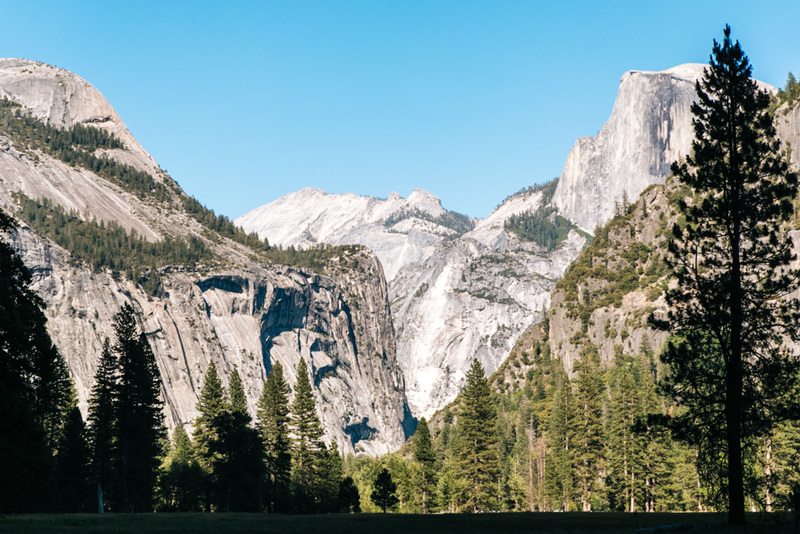 Yosemite Valley is the heart of the park, and where many of its best sights, hiking trails, and accommodation can be found. The drive into the valley is nothing short of magical. You’re driving alongside a crystal-clear river with periodic glimpses of little beaches, bridges, and people tubing; then the trees clear and suddenly you’re passing a meadow with towering mountains as a backdrop, with the odd majestic waterfall spurting out of the rock face. 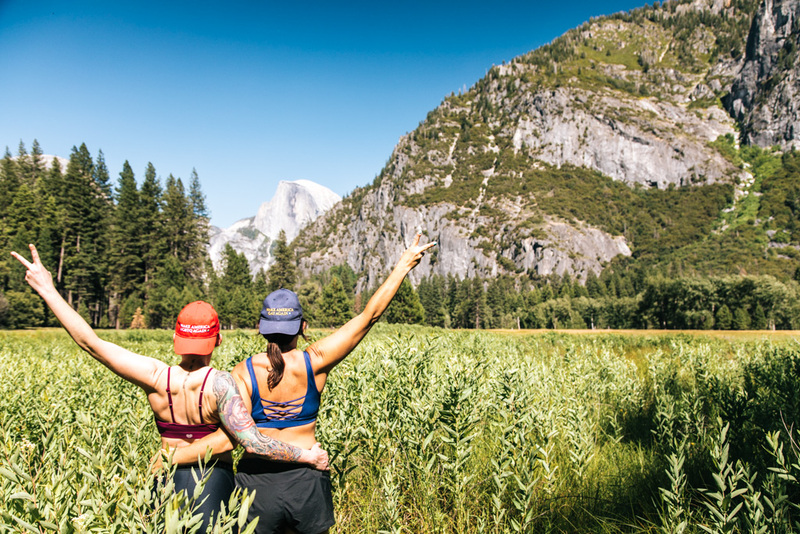 Yosemite is the kind of place where you continually have to pinch yourself to make sure it’s real. I mean honestly, how does this exist?! 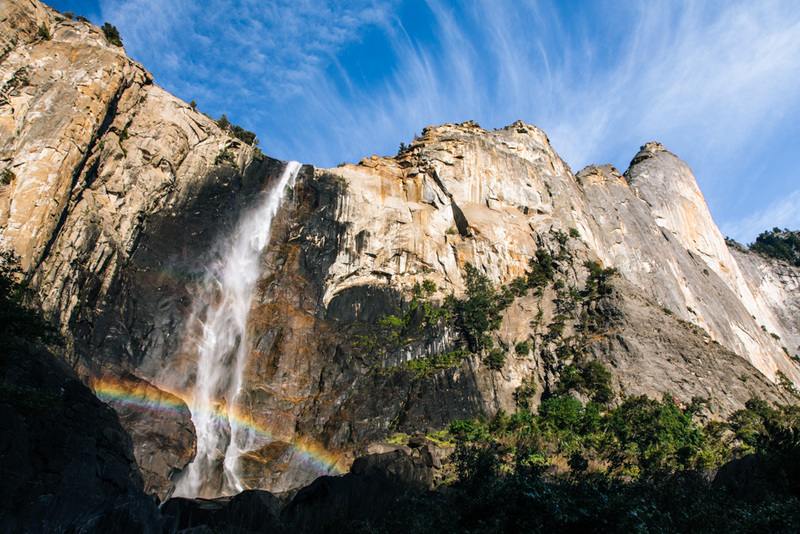 It’s a short hike to Lower Yosemite Fall, which will likely be swarming with tourists when you visit. 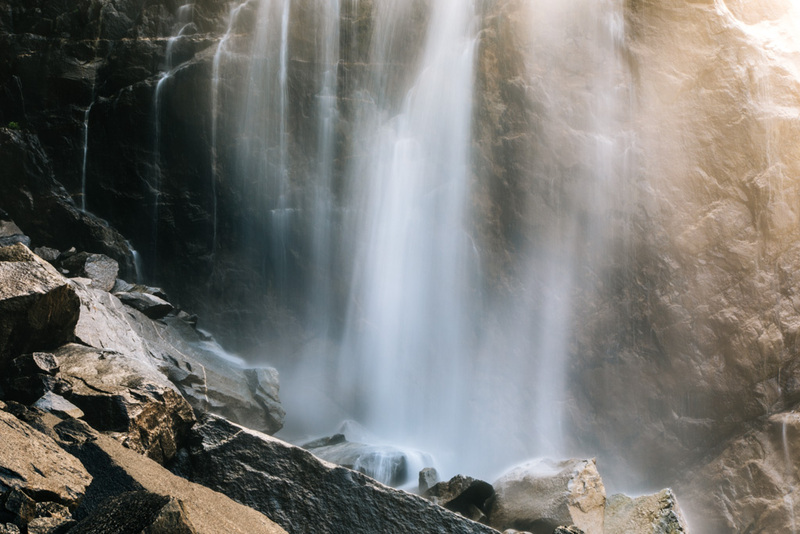 This waterfall feels so powerful when you get up close – which, if you do, prepared to get absolutely soaked. This tall fall is a quick walk from the parking lot and insanely pretty. Definitely climb up through the rocks just beyond the viewing area to get a closer look at this beaut. If it’s a hot summer day, I say spend some time cooling off by the river. There are plenty of entry points and sandy spots all along it for sunbathing and going in for a swim. We loved ending our days with a quick dip (quick only because the water is COLD). You can also rent tubes in the park and use those to float down the river. There are a bunch of hikes that start in Yosemite Valley. 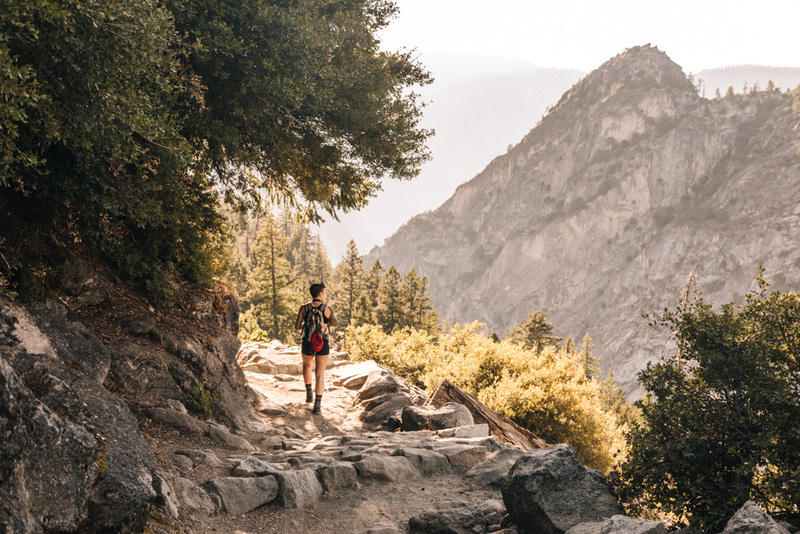 The Valley Loop is by far the easiest, most leisurely one – but having done part of it myself, I think your time can be better spent elsewhere if you’re only got 3 days in Yosemite. 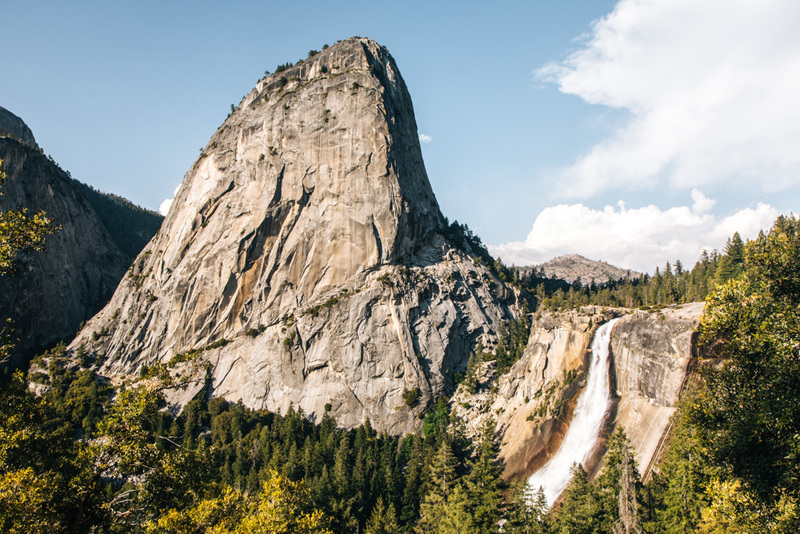 If steep, exhausting hikes don’t faze you, you can hike to Upper Yosemite Fall, or do the Four Mile Trail up to Glacier Point. The Mist Trail and Muir Trail also start from the valley, but these merit an entire day so we’ll hold off on them for the time being. 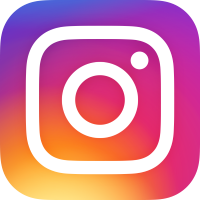 I derived much joy from the little photoshoots we had amongst the wildflower-dotted meadows and I think you’ll love it too, especially if you’re on a mission for some quality Instagram fodder. We even spotted some deer in one of the meadows. 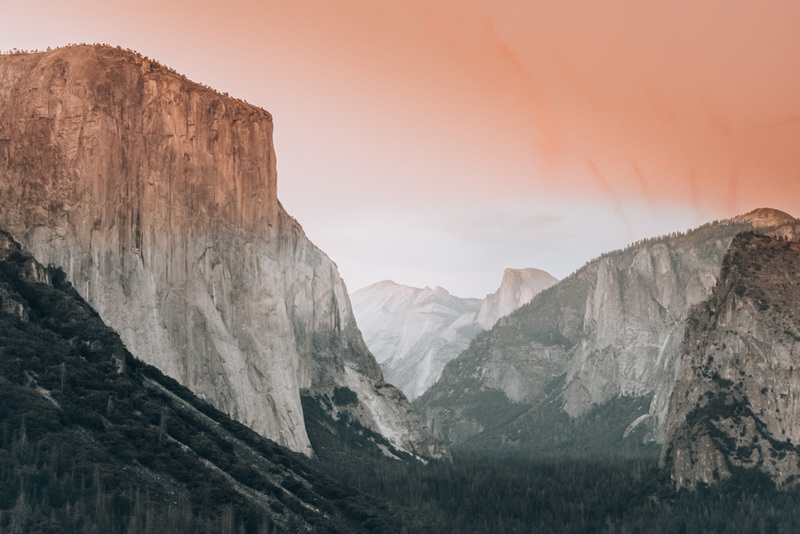 The above photo as well as the banner image for this blog post were taken at Tunnel View, quite possibly the best viewpoint in Yosemite – hell, even the best view on our Northern California roadtrip. Don’t miss it! For sublime alpine views and slightly less busy hiking trails, head up Glacier Point Road all the way up to Glacier Point (it’s about an hour drive from the valley). The views from the end of this road are absolutely insane. There are a few established viewpoints, but you can pretty easily escape the crowds here and have a ledge to yourself. 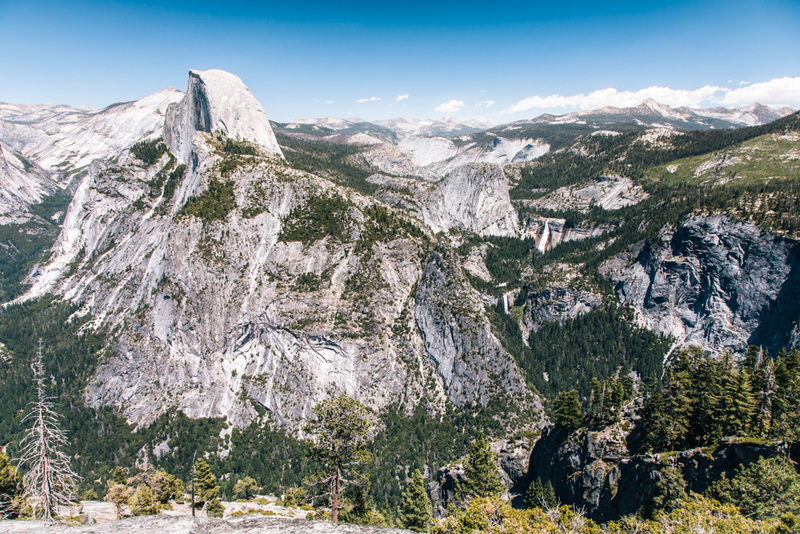 From up here, you can spot Half Dome, El Capitan, and several waterfalls. Taft Point & the Fissures – 2.2mi easy hike; like Glacier Point, but with no barriers. The fissures (vertical gaps in the rock) are also pretty cool to see. Illilouette Falls – 4mi to the falls; 5mi to Panorama Point (which you’ll see if you do the hike recommended for day 3). 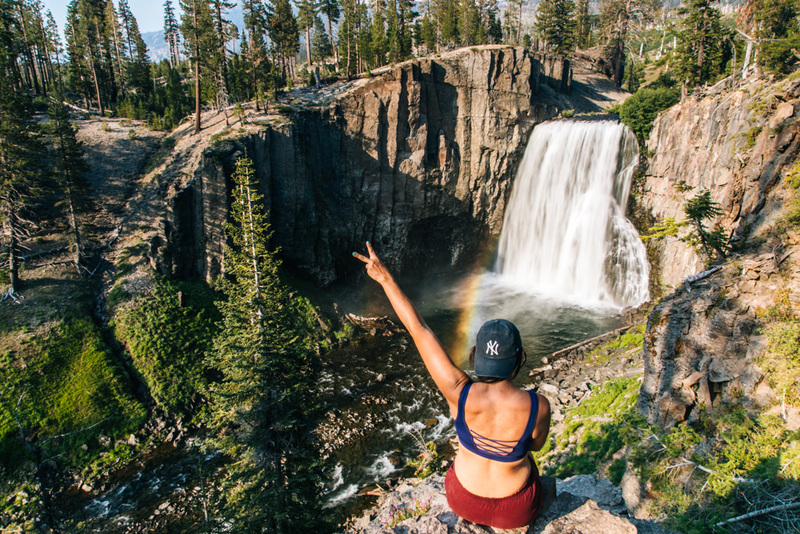 This trail has great views of Vernal and Nevada Falls, and the Illilouette Creek cascades, but not so much of Illilouette Falls itself. I feel very strongly that at least one of these days should be dedicated to a Yosemite day hike, so here we go! If you haven’t secured a permit for Half Dome (a super long, grueling, absolutely legendary day hike that you need to book in advance), the next best option is to take on the Mist Trail and Muir Trail (which are actually a part of the hike to Half Dome, so you don’t have to miss out – see this map for reference ). The hike takes you to the top of two huge waterfalls. YOU GUYS. This hike is one of the best I’ve ever done, and easily a highlight of this Northern California roadtrip. Don’t miss it! The trail to this first waterfall is easy and horrendously overrun with other hikers. Our first instinct was to clamber onto the rocks and get closer to the waterfall, but it was quite slippery and muddy and we got absolutely soaked from the mist. Instead, I’d say just hike up the trail a bit and enjoy the view from just before the very steep set of stairs to the top of the falls begins. If you get lucky you might get some double rainbow action like we did! 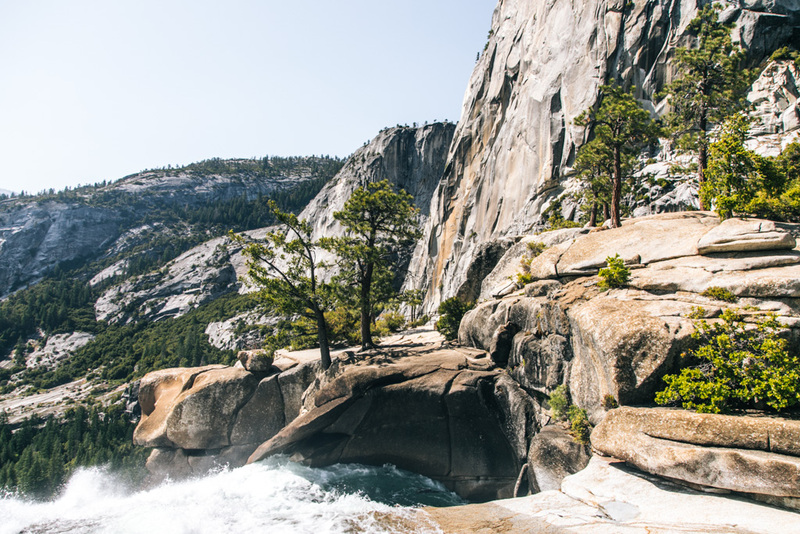 Both the bottom and top of Nevada Fall host some picturesque rock pools and creeks fit for swimming. They do discourage it though, especially from the bottom where strong currents can easily pull you downstream and over Vernal Falls (yikes!). If you’re going to swim, I’d recommend doing it from the top of Nevada Fall where the water is calmer. The hike up to the top of Nevada Fall is very steep, but the trail is well formed and easy to follow. Just stop to catch your breath whenever you need to and you’ll be fine. And definitely stop at the top to rest and soak up the views. It felt amazing to cool off in the water up there and then sprawl out on the rock to dry off in the sun. 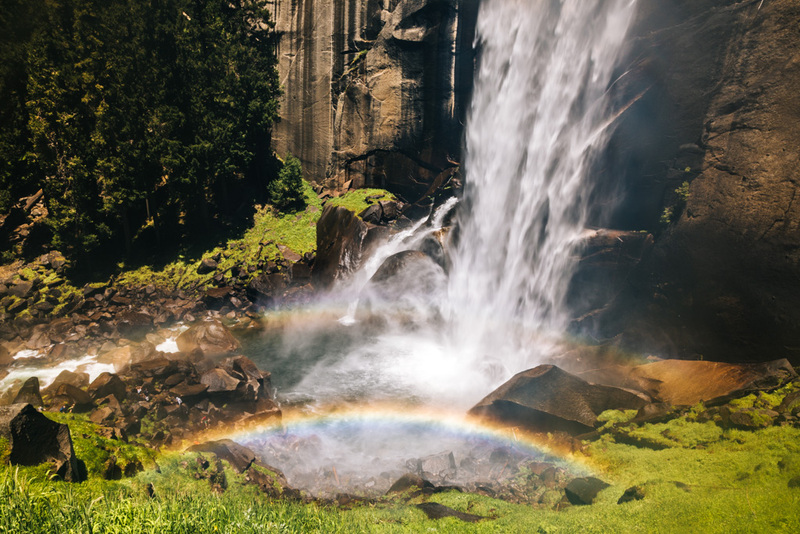 Continuing on from the top of Nevada Fall, you’ll take the Muir Trail around and back down to the Vernal Fall footbridge. The Muir Trail is slightly longer and less scenic than the Mist Trail, but it’s much less steep and easier on the knees so I advise taking this route rather than hiking back down the way you came. More importantly, the absolute best view can be had from the Muir Trail at Panorama Point as you’re walking away from the waterfall, before the trail goes back into the forest. The view of Half Dome, Liberty Cap, and Nevada Fall is absolutely unreal. 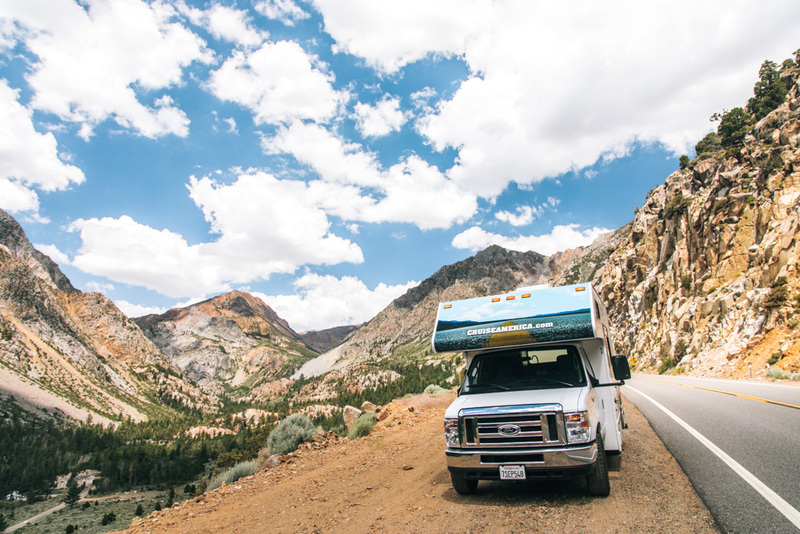 During warmer months (June through October or so), Tioga Road from Yosemite to Mammoth is open for driving and makes it a cinch to include both on a summer road trip in Northern California. 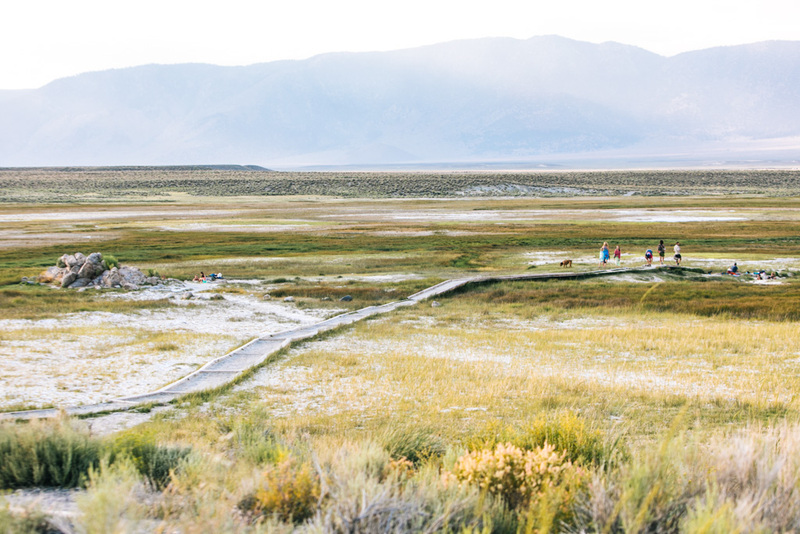 Outside of summer, you’ll have to go well out of the way and around the park if you want to get to Mammoth. The former takes about 2 hours, while the latter requires about 8 hours of driving one way… so yeah, this is definitely a summer road trip situation. 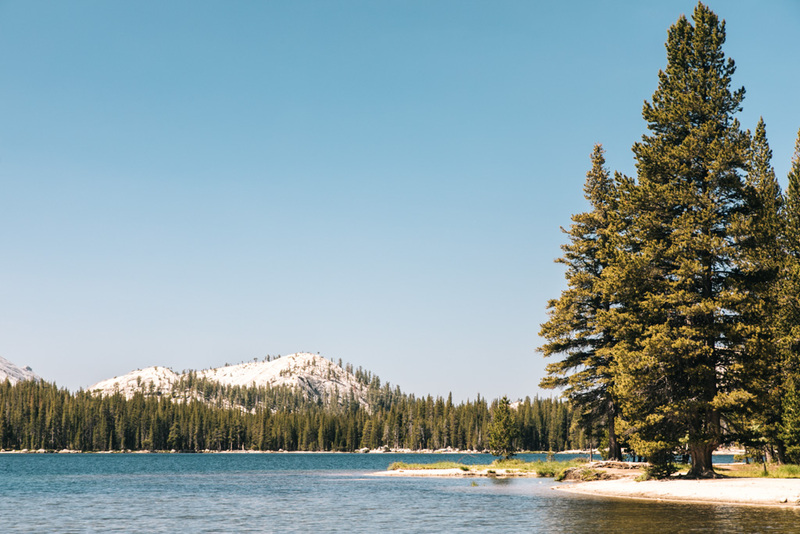 Mammoth is especially popular during ski season, but there’s still plenty to do in summer as well. 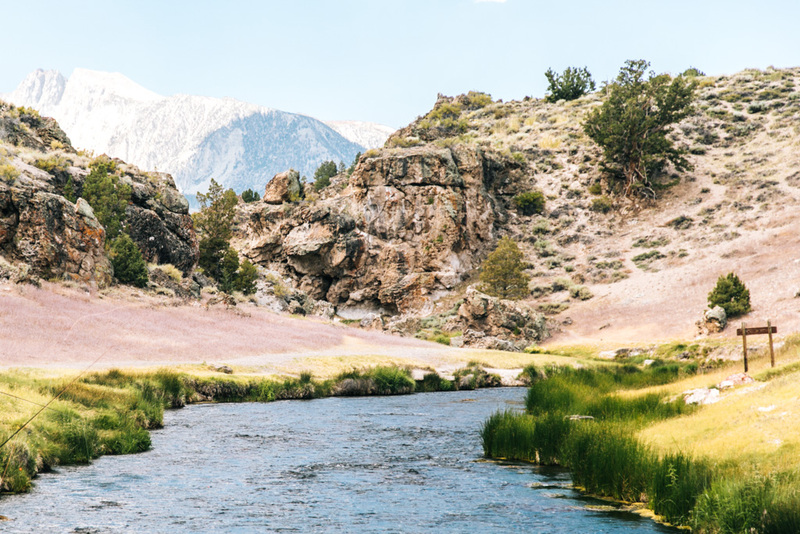 Mammoth Lakes is a little mountain town with so many cute cafes and shops worth perusing. Definitely allot some time to wander around town amidst your Mammoth adventures! 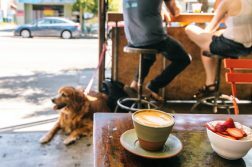 The best coffee in Mammoth can be found at Black Velvet Coffee, a third wave coffee joint popular amongst laptop workers. A close runner-up is Stellar Brew & Natural Cafe, which in addition to great coffee also offers delicious veggie wraps and smoothies. 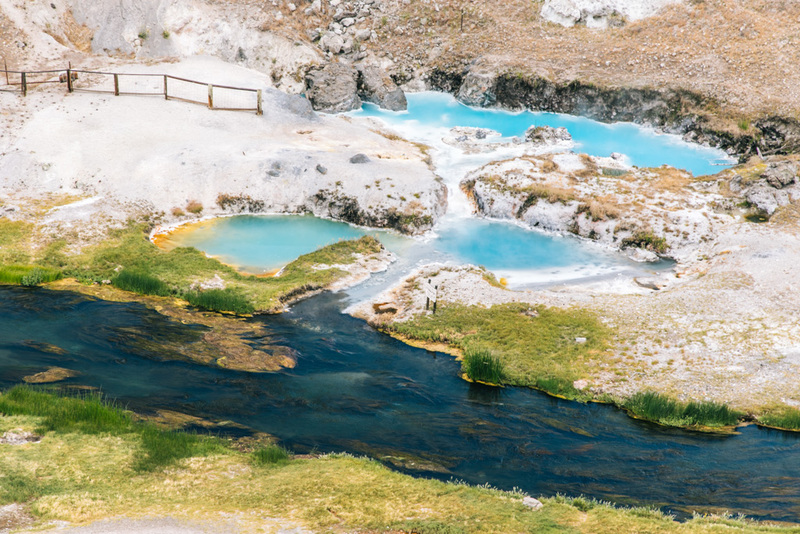 Hot Creek wouldn’t look out of place at Yellowstone or Rotorua with its geothermal hot pools and bright colored landscapes. The best view is from above in the parking lot, but you can also walk down and along the creek for a closer look. 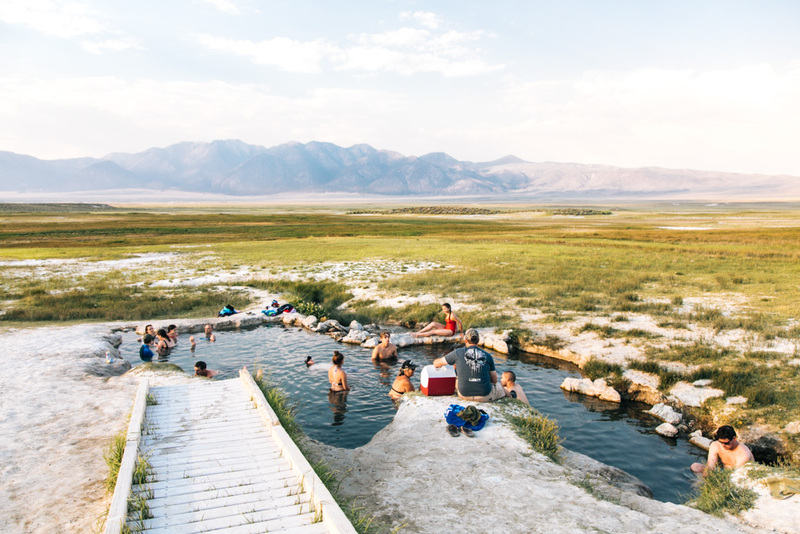 There are multiple hot springs in Mammoth Lakes, but we enjoyed the hell out of Wild Willy’s so much that we stopped there twice and even camped there for a night. Wild Willy’s is by no means a secret spot these days, so expect to share the three hot pools with other bathers. The hottest one (supposedly 104F) is the first pool on the right side of the boardwalk that you walk down, just before the biggest pool. ‘Magical’ was the first word that came to mind while I was lounging in the hot pools here. 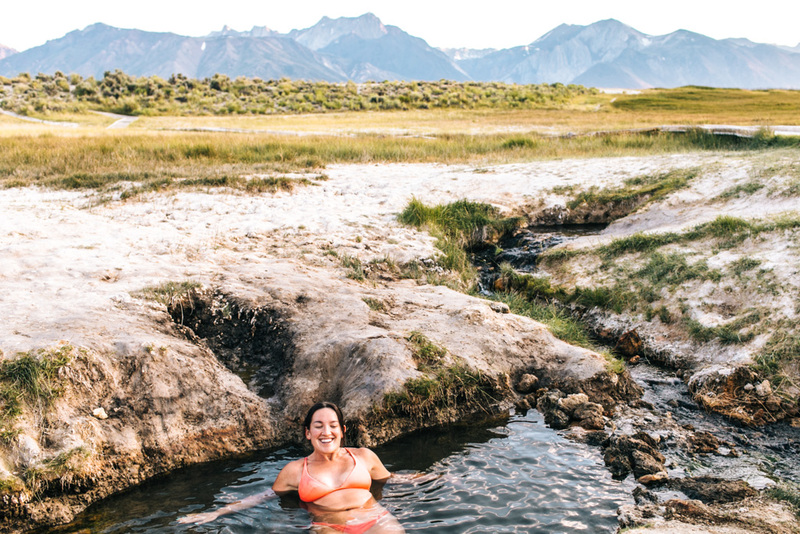 Is there anything better than kicking back in a natural hot tub, surrounded by the Sierra Nevada ranges, watching the sun go down? 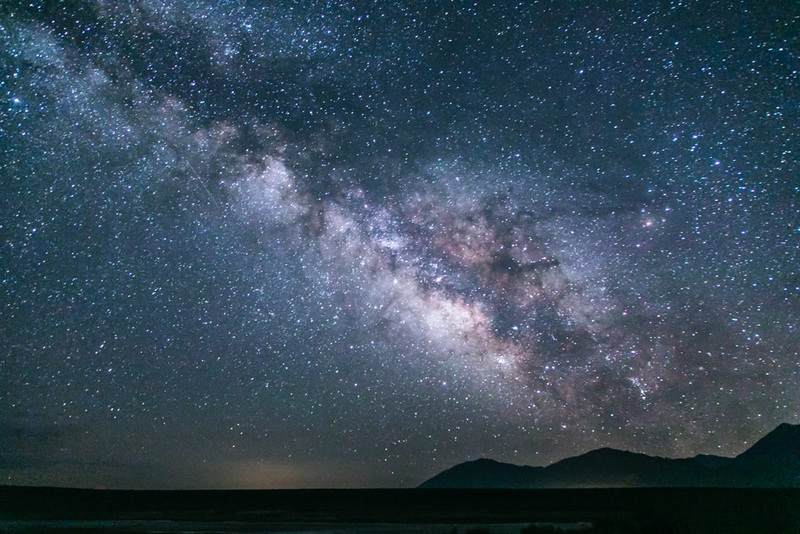 Actually, there just might be: how about bathing here around midnight, gazing up at one of the most star-studded skies you’ve ever laid eyes on? 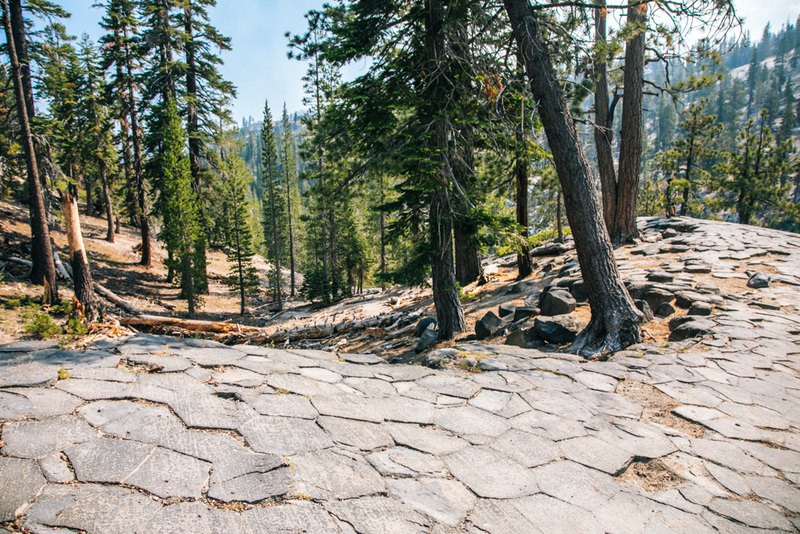 Allow at least a half day on your Northern California roadtrip to visit Devils Postpile, a really cool and not-oft-touristed national monument near Mammoth Mountain. 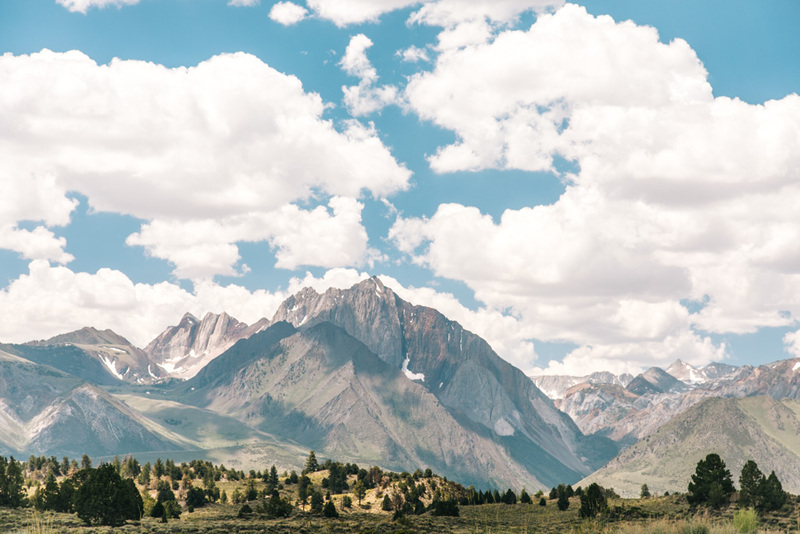 To reach it, park by the Mammoth Mountain Lodge and gondola and hop on the mandatory shuttle bus that stops in several spots in the park. Get off at the Devils Postpile stop and from there it’s less than a half mile walk to the national monument. 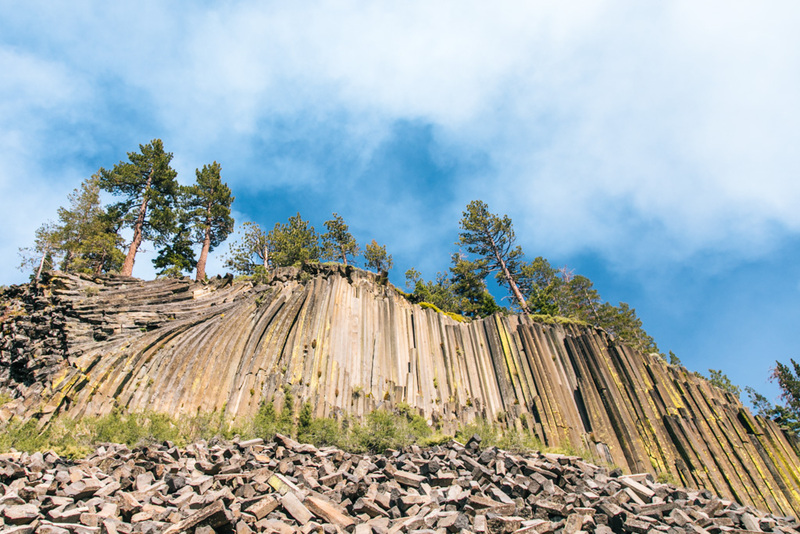 Devils Postpile is comprised of hundreds of hexagonal basalt columns reaching 60 feet high. Seeing these columns all lined up from below is undoubtedly cool, but standing atop the monument where you can observe the hexagonal tops to the columns fitting together like puzzle pieces is pretty mind blowing. How amazing is nature? From the top of Devils Postpile, it’s another 2 miles or so to Rainbow Falls. And yes, we did see its namesake while we were there. 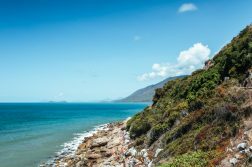 As of June 2018 you weren’t able to hike down to the bottom of the waterfall, but there are a couple of viewpoints from above that are well worth checking out. 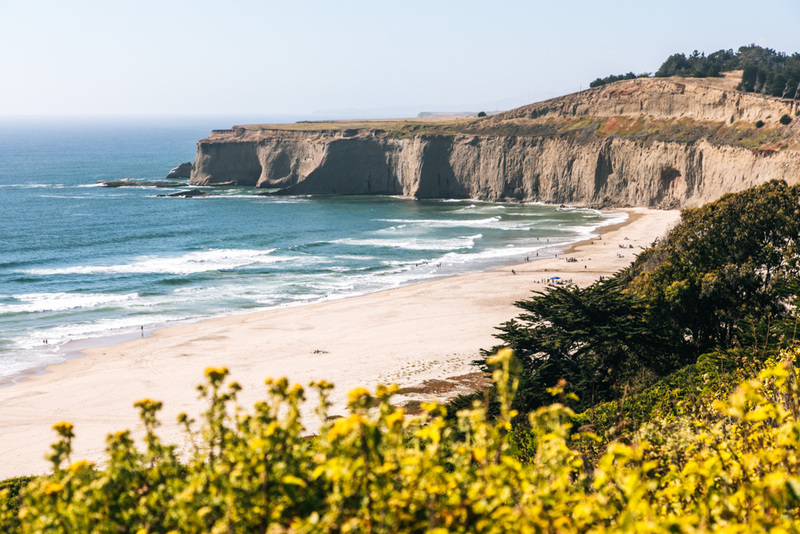 The California Coast merits its own dedicated road trip, but it also fits nicely into a Northern California road trip from San Francisco. 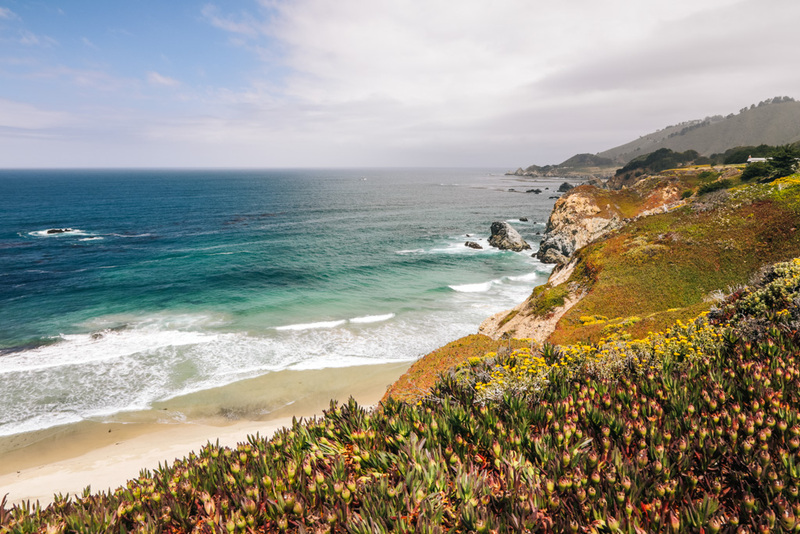 Depending on what your interests are, you could either spend 2 days around Big Sur (driving down the coast, hiking in the state forests, visiting beach towns Carmel and Monterey)… or 1 day in Big Sur, and 1 day exploring the rest of the coast. We went with the latter option and skipped the towns and forests. 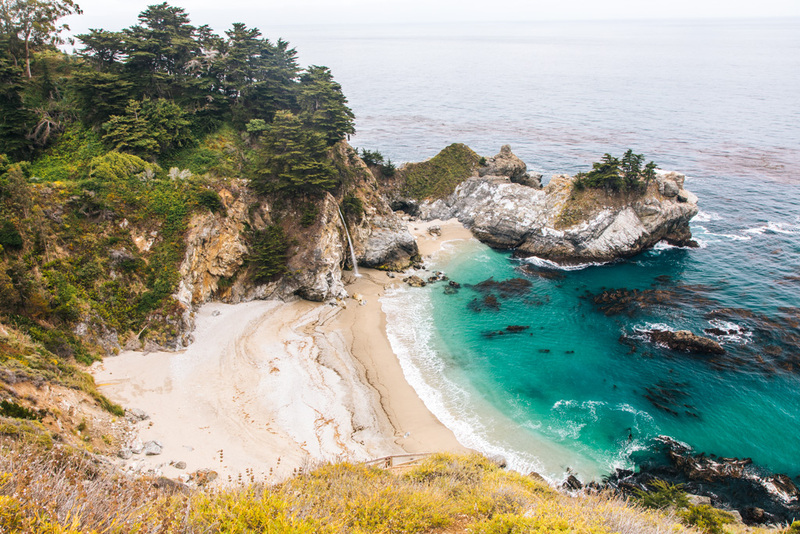 Big Sur is the famous 90-mile stretch of coast from Carmel to San Simeon. Think rugged, wildflower-spotted cliffs partially shrouded by mist. I’d been dreaming of seeing this place for myself for as long as I can remember, so including it on this road trip in Northern California was a no-brainer. One thing to know about Big Sur: it’s often quite overcast along this slice of coastline, so be prepared for grey skies and potentially some rain. We lucked out with a dry day when we visited in early July, but it was super cloudy and a little windy. Just go with your expectations in check and you’ll enjoy your time there. The two most popular photo ops in Big Sur are the Bixby Creek Bridge and McWay Falls. You should definitely make lots of other stops along the way, though, because the whole coastline is stunning and just as photogenic. 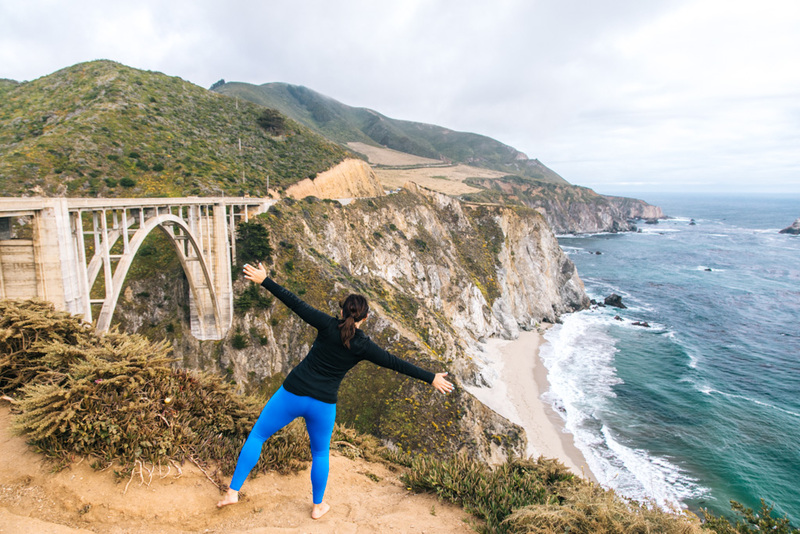 Once you’ve checked the Big Sur coastal drive off your list, head slightly inland to do some hiking in Julia Pfeiffer Burns State Park, Pfeiffer Big Sur State Park, Andrew Molera State Park, or Limekiln State Park. These parks offer redwood forests, canyons, and access to some of the more “hidden” beaches in Big Sur. Heading back north, Carmel-by-the-Sea is a beach city famed for its “fairytale cottages”. It’s pretty ideal for wiling away a day wine tasting and wandering in and out of shops and restaurants. 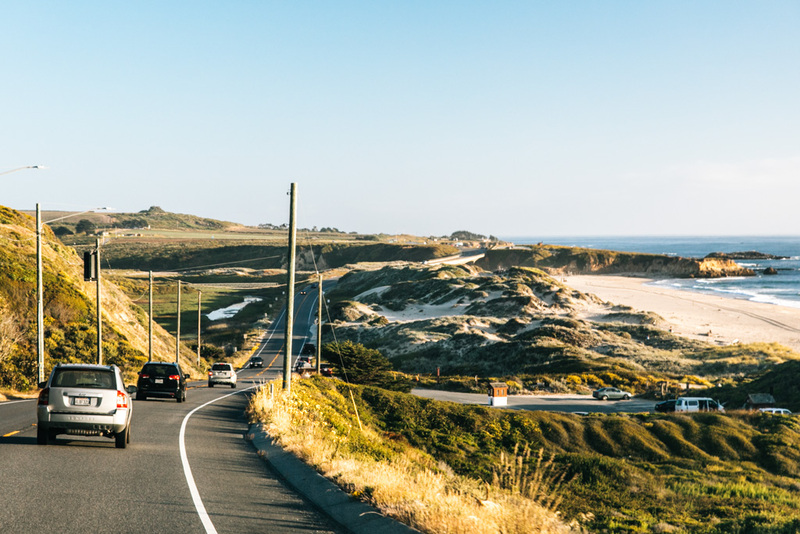 We couldn’t resist the temptation to see more of the glorious California coastline, so instead of lingering in Big Sur we opted to drive up the Pacific Coast Highway to see what other beaches lay ahead. 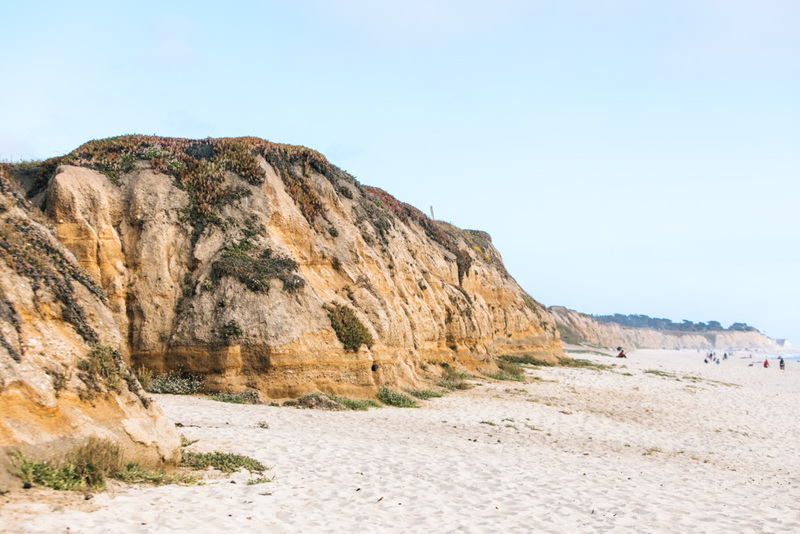 Your best bet is to drive from Santa Cruz up the coast and just stop at whatever beach strikes your fancy. The drive itself is absolutely beautiful, particularly when bathed in that golden hour glow later in the day. Lots of local produce stands along the way, too. Most of the beaches charge for parking ($10/day is pretty standard), but you might be able to get away with free street parking depending on where you are. We spent our 4th of July afternoon at Half Moon Bay, one of the more popular and picturesque beaches near San Francisco. This is a big beach with cliffs on one end and dunes on the other end. 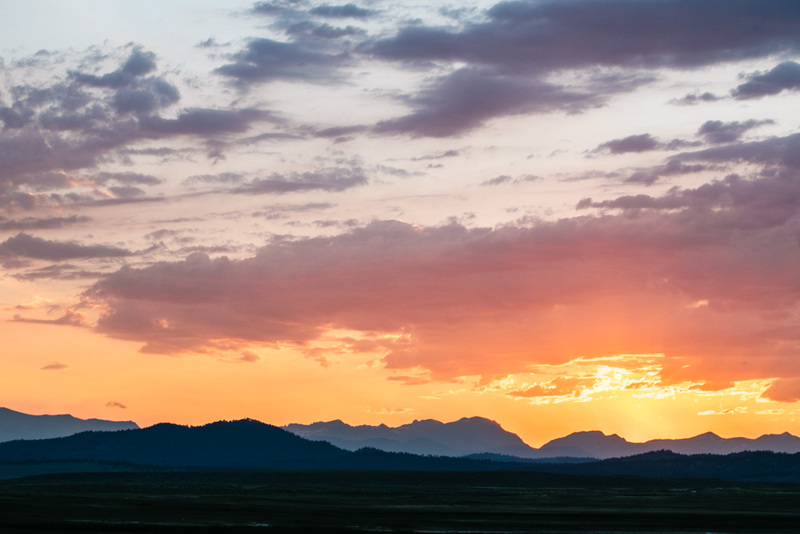 There’s even a campground overlooking the sand – can you say best sunset view from a campsite ever?